This bit of wisdom was particularly true in 2012 if we look at three events whose significance is obvious now, but not for the reasons they seemed at the time. Facebook’s IPO in May was one of the most hyped public offerings ever. It was also a bust. In retrospect, many red flags were ignored. The first indication of trouble was the pre-IPO bubble in Facebook shares. 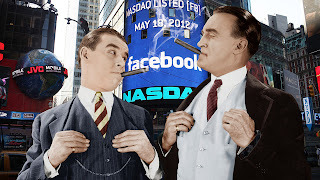 Retail investors confused their affinity for Facebook and social media with unbiased investment analysis. For example, many euphoric traders loaded up on Facebook shares before the IPO through SharesPost and SecondMarket hoping to outsmart the "established" IPO marketing process and purchase shares below the assumed IPO price. They thought Facebook was a sure thing. Many are still hurting; Facebook’s stock remains well below its IPO price.